I’ve never really considered myself an “influencer’ until I received an email from a long time follower of my blog. In the message, a boy who’s in junior high school from Brazil, told me that he had a class assignment on writing about an “influential person who you look up to” – and he said he wrote about me for this essay. I was of course very flattered and thanked him for his support. At that moment, I also realized that we could all very well be influencers as long as we can present something out there that matters and would change the way the influenced think and make their decision. As a blogger, I’ve worked with multiple different brands, including both essential and luxury products. How I engage my audience changes constantly, in part I think is due to the accelerating evolution of social media platforms. Sometimes it’s really difficult to know what strategy would work best for both you and the collaborator to enhance growth. Recently I participated a survey from Fashion & Beauty Monitor, which entails influencer-marketing trends for brands in 2018, mostly for the luxury sector. The survey consists of opinions and responses from over 300 different influencers and brands worldwide. Here are the result and breakdown based on the survey. Controlling the narrative of influencer-led campaigns is also proving “very challenging” or “quite challenging” for 59% luxury brands. Letting go of creative control is still a big risk for luxury brands, and requires a complete overhaul in mindset and culture. It demonstrates the importance of working with the right influencers who are already respectful of the brand, and who can be trusted with editorial freedom. Researching their previous endorsement history is another important consideration. Going forward, we will see influencers negotiating partnerships and contracts more on their terms, taking the lead with artistic direction. For example, fashion influencer Camille Charrière was recently approached by Tommy Hilfiger to help promote its Gigi Hadid capsule collection, for a five-figure fee. Unconvinced by the brief, she negotiated complete freedom to do things her way, sourced a new photographer, art directed a fashion shoot on the streets of Paris, and styled the collection to her own taste. Just 11% of luxury brands say that they plan to create more video content over the next 12 months, but this is a figure that will undoubtedly grow. Brands like Chanel, for example, are using video to phenomenal effect, with its YouTube channel amassing more than 300 million viewers to date. It’s legendary ‘The one that I want’ video starring Gisele Bundchen, which launched Chanel into the social media universe is one of the most watched commercials of all time with almost 17.5 million views on YouTube. It’s videos offer beautifully flowing narrative, and increasingly feature rising social influencers who depict the Chanel brand as part of an aspirational lifestyle. Encouragingly, although in The New Face of Luxury report budget is cited as an obstacle to success for many luxury brands, 66% say they expect their budget to increase “moderately” or “significantly” over the next 12 months. This is a view shared by 47% of non-luxury brands. When luxury brands were asked to rank what the single most important criteria for successful brand-influencer collaboration was, 44% said it was finding the right influencer. Yet when they listed their biggest challenges, finding the right match emerged on top. Perhaps because 78% of luxury brands admit they are still searching for influencers through social media manually, despite this being a time consuming, laborious process. The coming months will see marketers get smarter about the identification process. 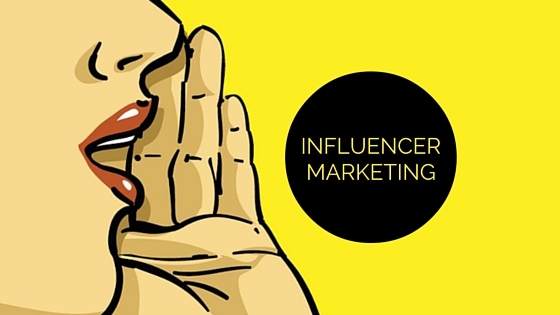 Influencer audience data such as demographics, social listening, and brand affinities will be key in differentiating a big-budgeted influencer marketing campaign, from a successful one. Almost one half of luxury brands (46%) expect to commit more resources to managing influencer relationships over the coming year. This compares with a far more modest 18% of fashion and beauty brands, indicating that the luxury sector is keen to explore the full potential of influencer marketing in the coming months. As brands grow their trust in social influencers, it seems likely that relationships will become longer term relationships and brands will also be more willing to hand over creative control to the influencer they’re collaborating with. Within the luxury fashion and beauty sector, another likely shift will be increasing preference for collaborations with ‘micro-influencers’ who’ve established an exclusive niche for themselves via their opinions, viewpoints and subject matter expertise. The attraction won’t be their number of followers but rather their creative or artistic edge, and their devoted and authentic audience, which can translate into high rate of influence (ROI) for luxury brands. 18% plan to begin working with influencer in new ways. Over the next 12 months, 18% of luxury brands hope to be more experimental in the way they choose to work with influencers, trying out new formats and ways of partnering.